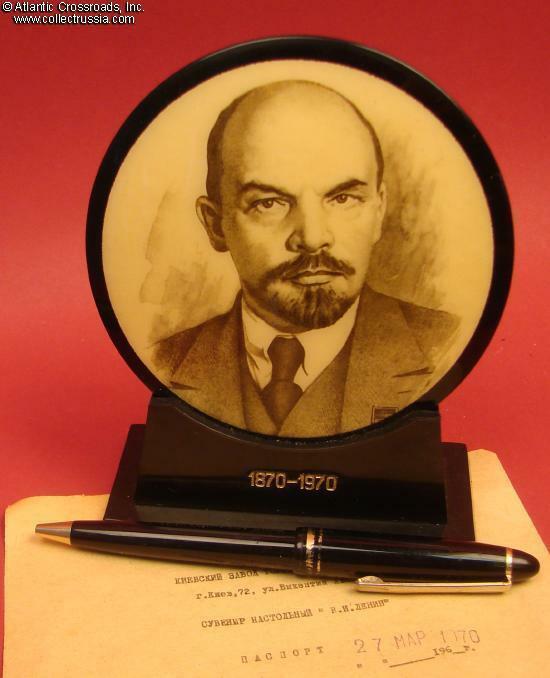 Lenin Desk Portrait features image of the Bolshevik leader wearing a Central Executive Committee lapel Badge. 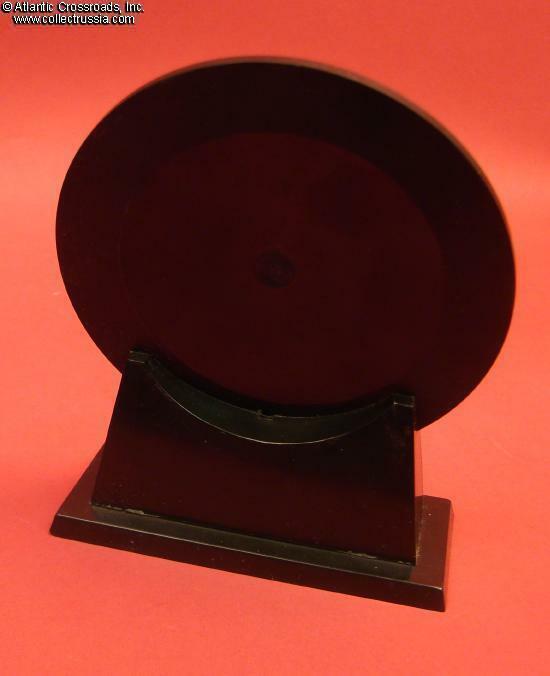 The disc measures 4 1/4" in diameter; base measures 4 1/8" x 1 7/8". 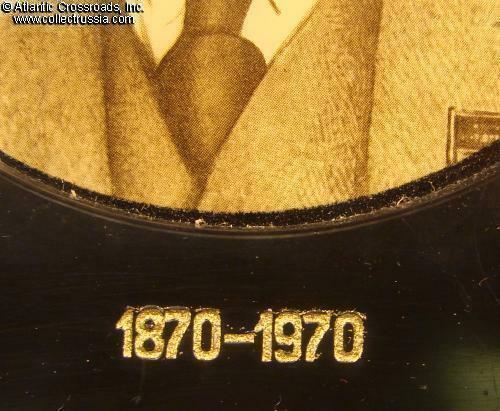 When standing on its base/holder, the portrait is about 5 1/4" tall. 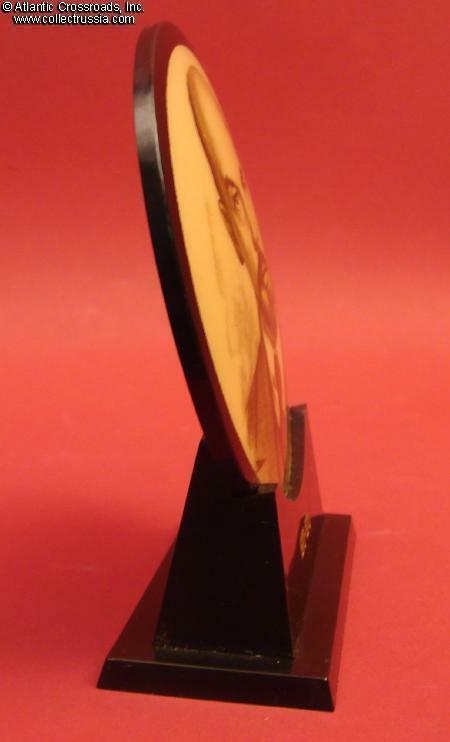 Possibly made of either Vinyl or Bakelite. 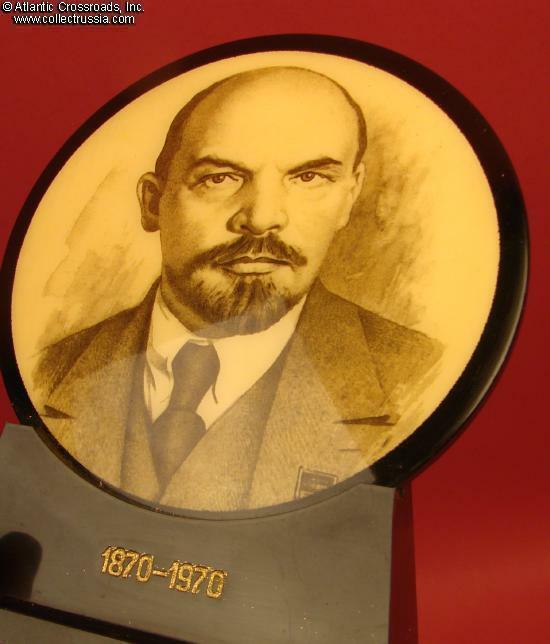 Jubilee issue of 1970 to commemorate the centennial of Lenin's birth. 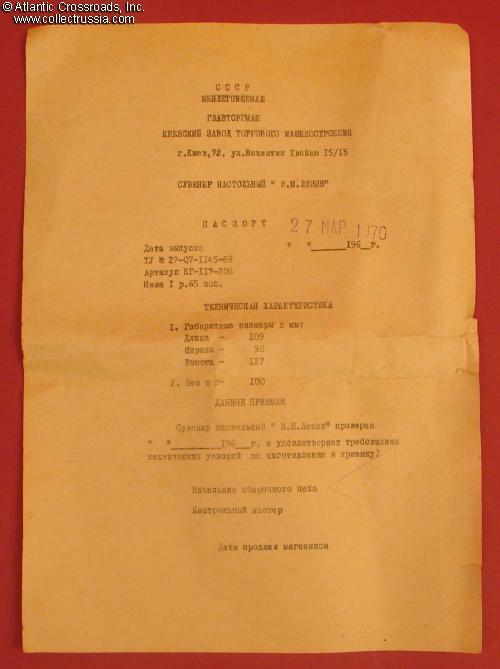 Comes with original manufacturer's cover sheet or "passport" showing the 27 March 1970 date of manufacture and a quality control stamp. The name of the item is stated as "Desktop Souvenir 'V.I. 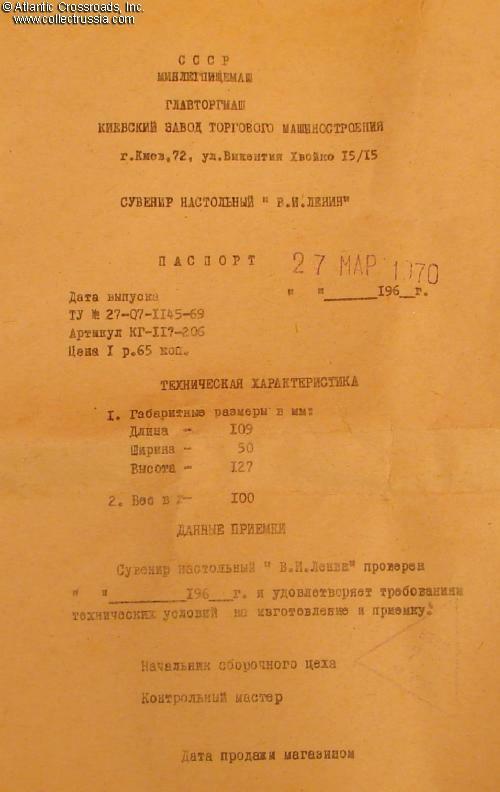 Lenin'". Please note: the pen is there to give you a sense of scale and is not included with the portrait and its stand.